AllStrong custom Table Rack is designed for multiple functions and applications in kitchen work stations such as Sandwich Table etc. Perfectly fit for most tabletop refrigerators such as Beverage-Air, True, Delfield etc. 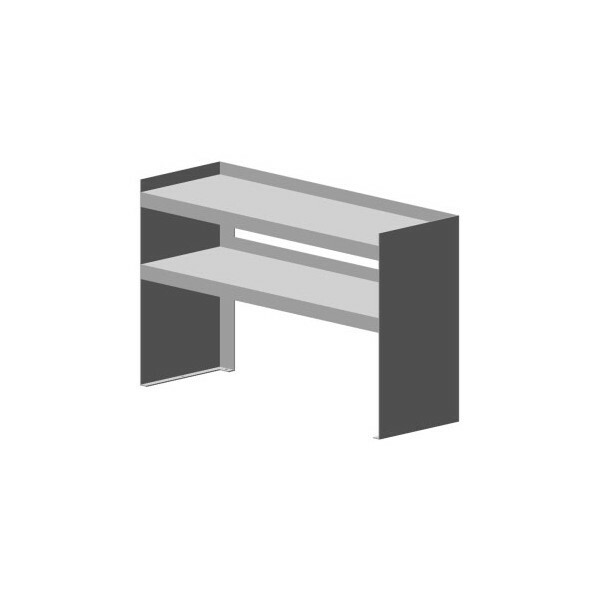 Rack is fabricated of stainless steel. Upper shelf is secured within 2" apron on 3 sides and a designated mounting slot on both side of the panels. Rack shelves can be knocked down into 4 pieces and are easy to assemble with 12 screws. 3. Overall height is to 30". · Available in 12", 14", 16", and 18" Depth. 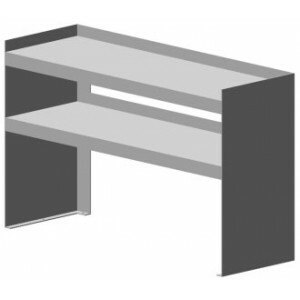 OMS48-C Table Rack Series 48"
OMS60-C Table Rack Series 60"
OMS72-C Table Rack Series 72"